Now that you have made the decision to sell your old car for scrap metal, it is always good to know how to get the best deal in Melbourne. Herewith mentioned are some of the tips that enable you to get the best value when selling your old car for scrap. As the first step, you should probably look for a way to assess the value of your car. Having a brief idea about the actual value of your car will give you an advantage when negotiating with the scrap yard in Melbourne. You can either do it yourself or seek the assistance of a professional mechanic to get an accurate value. Such move will let you have a practical idea about the value of the vehicle. Remember, the better the condition of the car, the higher value it has. Let the car be in its original condition. Don’t remove parts like engine, wheels etc. as it will reduce the value you get. In fact, without these parts, you are not likely to get a notable deal from the scrap yard. For scrap yards, these parts are the most valuable aspects. One you have analysed the value of the car and kept it in original condition, you should probably be looking for buyers. 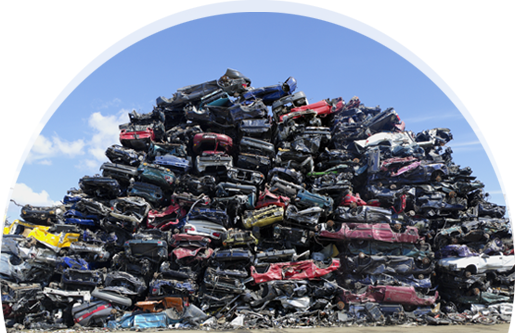 In Melbourne, there are various scrap yards that are willing to buy cars for scrap metal. You can perform an internet search with phrases like scrap yards or cash for car services in Melbourne. If not, you can ask your friends, neighbours, relatives or co-workers about some known scrap yards in Melbourne. Once you get a list of scrap yards, you should start calling them and see how much they are willing to pay you. When you call multiple buyers, you will start to get a better idea about the price you will get in return. When contacting scrap yard companies, it is mandatory to be clear about the towing policy. Some scrap car companies offer free towing facility (probably depending on the proximity they have to travel). If a particular company doesn’t offer free towing facility, you should probably omit that option and look for an alternative. Apart from that, you must visit their website; refer information such as reviews left by the past customers, how professional they are, for how long they are in the business etc. It allows you to distinguish best buyers from the rest. Besides, it is important that you get the things done related to the car title. As per the law, you cannot sell your car unless you are the owner of the car. So, it is important to get ready with the necessary documentation to prove the title of the car for a hassle free sale. However, there are some exceptions where scrap car buyers will purchase your car for scrap without any title.